A few months after Kristen moved back to our home town, she called me. Instead of “hello,” she demanded, “Why didn’t you tell me about Henry’s?” She was right—I had neglected to tell her about one of the richest food resources on the North Shore. My bad. For those who’ve been, you know about this market’s amazing array of products and fantastic service (did you know you can phone in your order and have it delivered by a retired policeman?). Now there’s even more to enjoy because last month, Henry’s owner, John Keohane, took over the adjacent space previously occupied by a bank and turned it into a lovely wine store. And if you’ve never been to Henry’s, you’re in for a real treat. 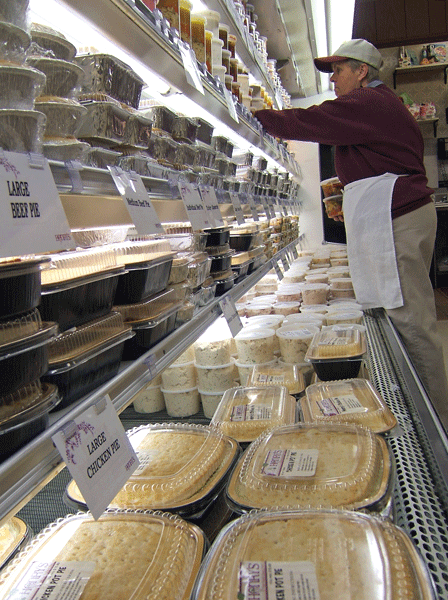 With its combination of groceries, produce, butcher shop, prepared food, and top-notch bakery, Henry’s is unique to the North Shore, offering great ingredients for when you’re in the mood to cook and hand-made prepared foods for when you’re not. Add a little New England-style hospitality (and young men to help you to the car with your groceries), and you begin to get the idea. 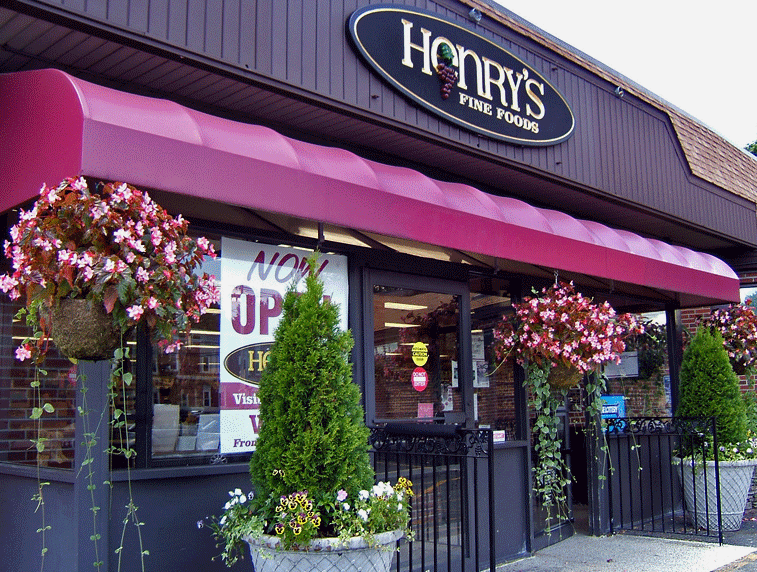 Henry’s is our go-to resource for hard-to-find items like pink peppercorns from Morton and Bassett spices, oatcakes from Effie’s, sauces and jams from Stonewall Kitchen (a huge selection), and gluten-free items including mixes from The Really Great Food Company. They even have lingonberries for your Swedish-themed dinner and LU’s Petit Ecoliers in white chocolate. Other stand-outs include dairy products like Better Than Bakery infused butters, uncured applewood smoked bacon, and Boars Head diced pancetta; store-made bottled sauces including buffalo wing, citrus grilling, and merlot wine steak sauce; a fresh fruit bar; and cheese that runs the gamut from camembert to chevre, halloumi, and cotswold. 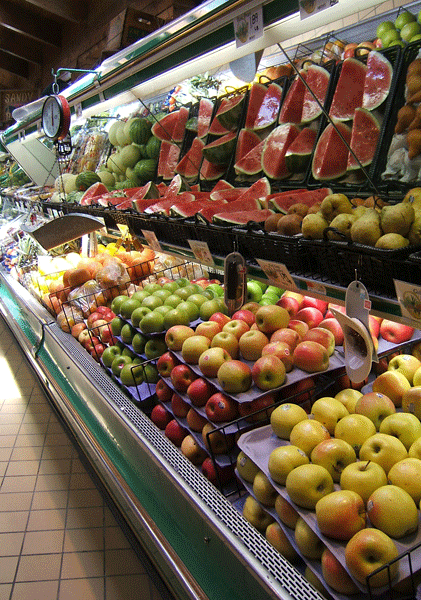 The produce section not only carries seven types of apples and three types of pears in summer (along with rainier cherries and lush apricots), it has dried fruits like goji berries and cherries, fresh Indian simmer sauces, tubs of Henry’s fresh salad dressings, and house-made salads alongside microwavable hot entrees and sides. Right around the corner is our favorite guilty pleasure: individual pies from The Pie Guy. Yes, there are whole pies, too. Those pies are only the beginning of when it comes to sweets at Henry’s, where the bakers come in at 1:00 every morning to make bread, rolls (dinner, hot dog, and hamburger), cakes, tarts, pies, old fashioned pastries like crullers and fruit squares, cookies, and brownies. Our personal favorite is the pastry case, where you can get individual servings of plain or turtle cheesecake, carrot cake, key lime tart, fruit tarts, and molten lava cake. In the meat department, you can choose from three types of beef: traditional, Meyer angus, and Brant (aged for flavor and tenderness). Or go with a gourmet burger or slider, fresh-made kabobs or sausages, or one of the small roasts perfect for a special occasion. In a nearby case are Bell & Evans chicken, beef, and pork carefully trimmed and marinated using best-quality ingredients. We love that Henry’s carries an abundance of local products, including Maria’s Gourmet Pasta (Malden) Sauces ’N Love pasta sauces (Lynn), Harbor Sweets (Salem), Ye Olde Pepper Company candies (Salem) Giovanna gelato (Boston), Shains of Maine ice cream, and Good Wives hors d’oeuvres (Wilmington). We also love that the new wine store offers selections from very-affordable to let’s-splurge; a range of specialty beers from Belgium; and carries cheeses, dips, and frozen take-and-bake appetizers. 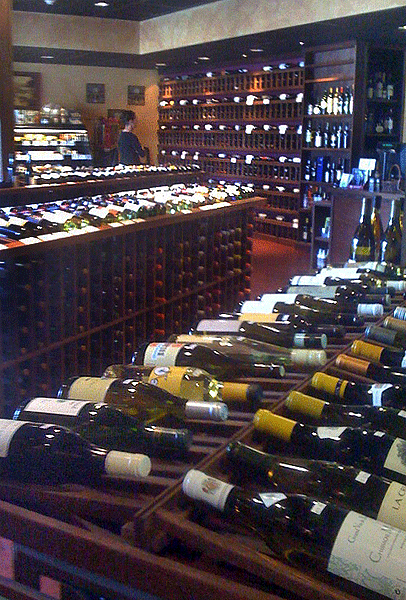 To top it off, the store holds wine tastings Thursdays from 4:00 to 7:00 and Saturdays from 2:00 to 5:00. Sign up for the e-mail newsletter to learn what wines are being featured (sign-up is in the store). Keohane started as kitchen manager 25 years ago and bought the business from its founder, Henry Swanson, five years ago. Today, he’s in the store virtually every day making sure the quality and service Henry’s is famous for never wavers. Of course, many of Henry’s 190 employees have worked in the store their entire adult lives. So don’t hesitate to ask questions of employees you see in the aisles or behind the counter—you’re sure to get a warm reception and good food advice.